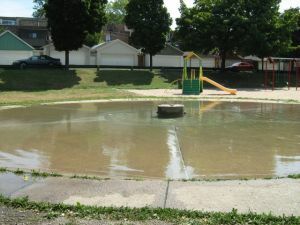 Fred Hamilton wading pool to close in 2012? The Toronto Star has reported that the City of Toronto has identified the wading pool in Fred Hamilton as one of those which may potentially be closed to cut costs. This is truly unfortunate, as contrary to reports that this pool is underused and in need of repair, the wading pool at Fred Hamilton is a favourite location for young families in the dog days of summer. The Friends of Roxton Road Parks are currently gathering community support and are vowing to fight this proposal. Council decides the matter in January 2012.